It’s not easy trying to balance everything at home during the week AND eat healthy! It’s so important to keep eating healthy recipes but often we are rushing in the evenings and just want to get dinner on the table and resort to quick food or take out. 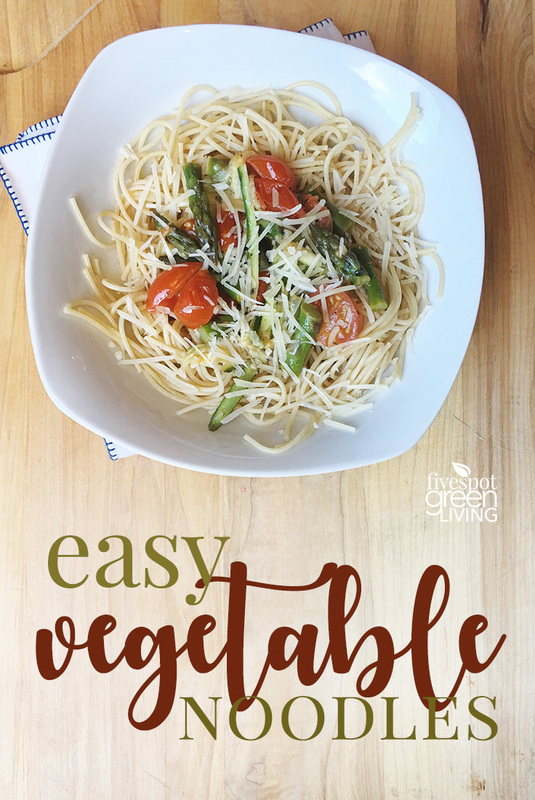 Here’s a really great Easy Vegetable Pasta Recipe that is not only quick but it’s absolutely delicious too. The best thing about this recipe is how versatile it is. 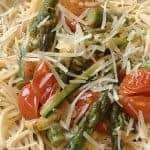 When I first started making it, I used only tomatoes and zucchini, but lately I’ve started adding asparagus to this recipe and shredding my zucchini lengthwise. Studies have already declared that fiber-rich foods help to alleviate cancer conditions by washing away the cancer-causing toxins from cells in the colon. 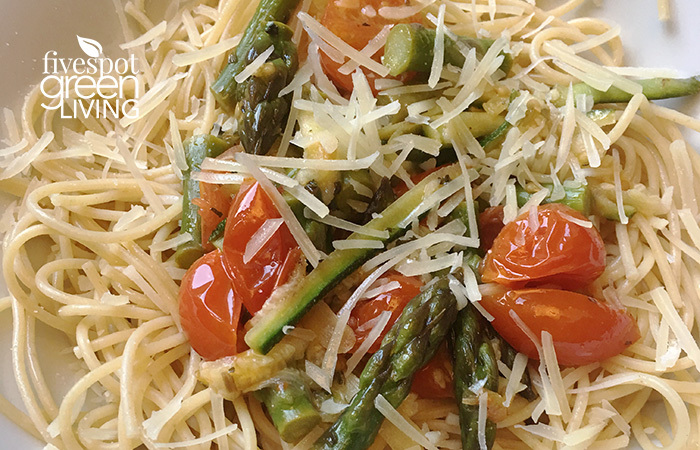 Between zucchini being so high in water content and rich in fiber and asparagus being a natural diuretic, this dish is a natural go-to-dish for people trying to eat healthier and lose weight! I always use the Barilla protein plus spaghetti so it’s not all carb-laden. I love that I can eat pasta that’s made with lentils, chickpeas, flaxseed, barley, oats and spelt! Asparagus contains high levels of the amino acid asparagine, which serves as a natural diuretic, and increased urination not only releases fluid but helps rid the body of excess salts. 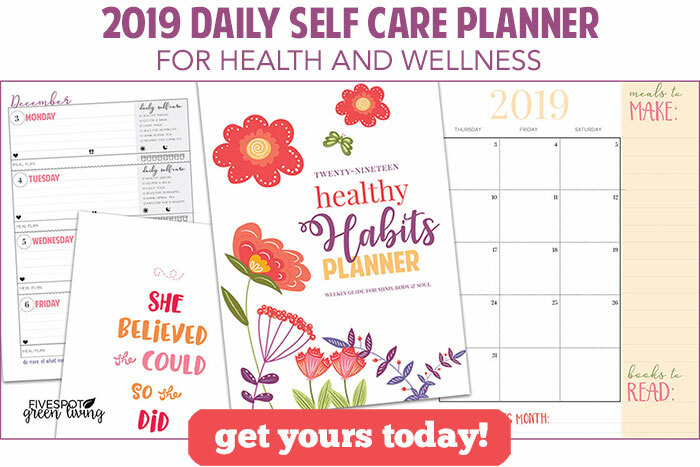 This is especially beneficial for people who suffer from edema (an accumulation of fluids in the body’s tissues) and those who have high blood pressure or other heart-related diseases. I had no idea that asparagus could help me with my lymphedema. Add oil and garlic to pan and sauté for 1 minute on medium low. Add chopped tomatoes and asparagus and cover. Simmer for 10 minutes then add zucchini and basil and cook until zucchini is just wilted. Add vegetable mixture to spaghetti and serve with parmesan cheese. This recipe makes amazing leftovers! 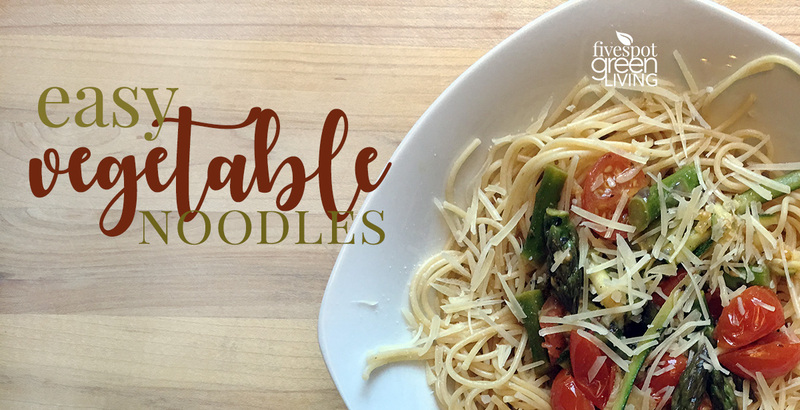 I love healthy pasta dishes, they make the best weeknight meals. This looks delicious and I love your medley of veggies. Thank you for sharing your healthful and delicious pasta dish at Fiesta Friday! This looks easy & tasty!! A great thing to make with the autumn harvest. I love a pasta dish like this it is so fresh and delicious! Thanks so much for sharing your awesome post with us at Full Plate Thursday and come back soon!